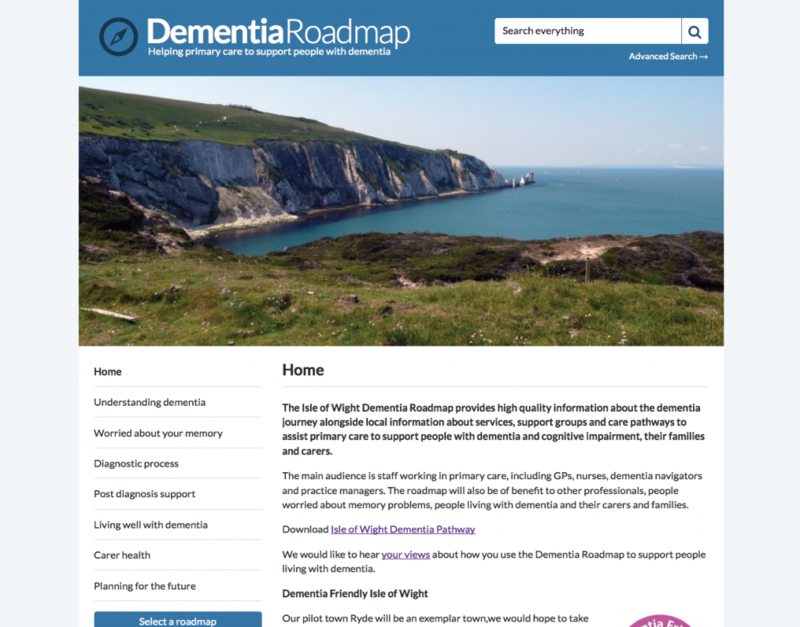 Supporting the Royal College of General Practitioners to develop the Dementia Roadmap https://dementiaroadmap.info, an online resource which provides high quality information about the dementia journey alongside local information about services, support groups and resources to assist primary care staff to more effectively support people with dementia and cognitive impairment, their families and carers. 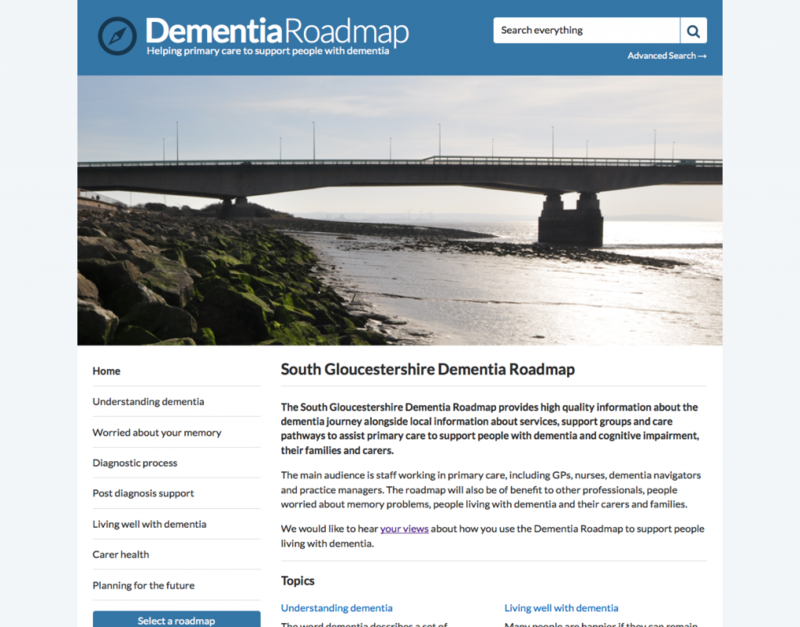 The Dementia Roadmaps deliver a range of benefits to the GPs, primary health and social care professionals and third sector groups that use them. 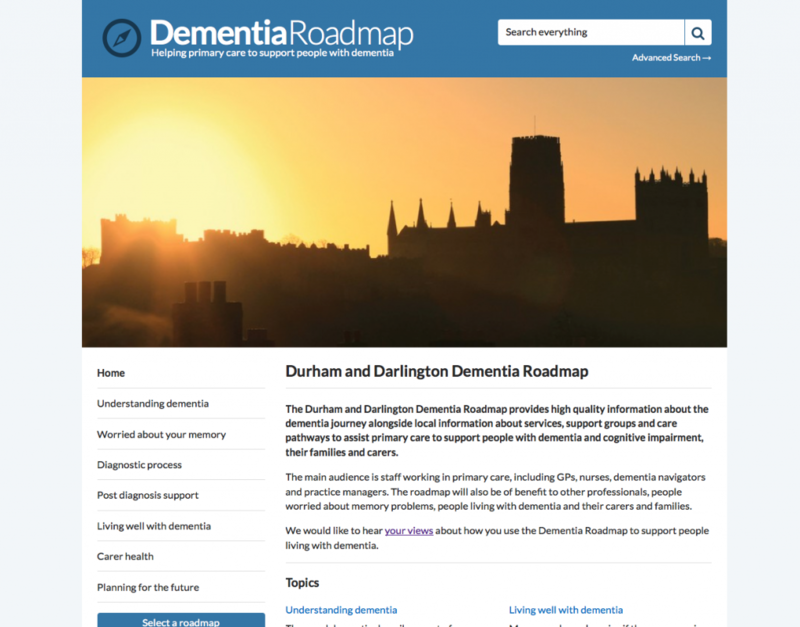 Reassure patients and their carers/families at diagnosis and during the dementia journey by signposting them to local resources, information and support. 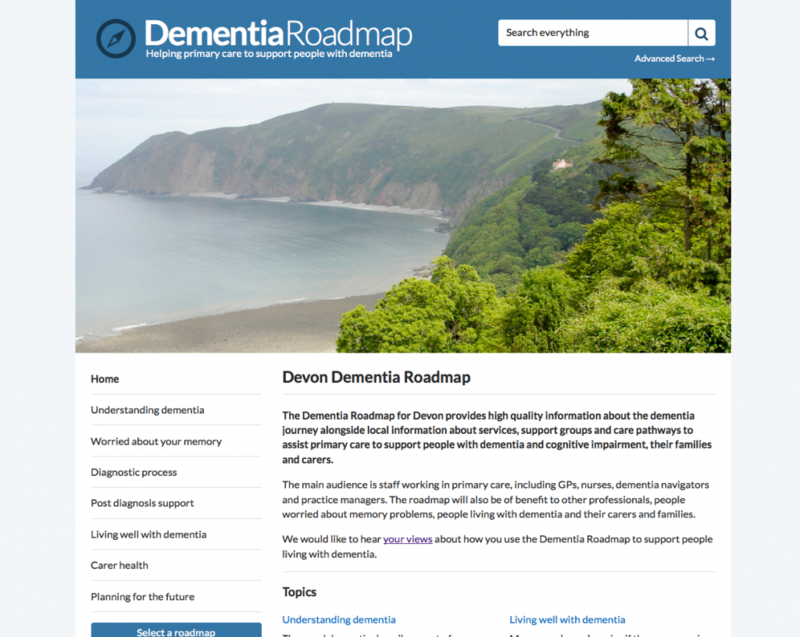 Promote positive messages about remaining independent and living with dementia. 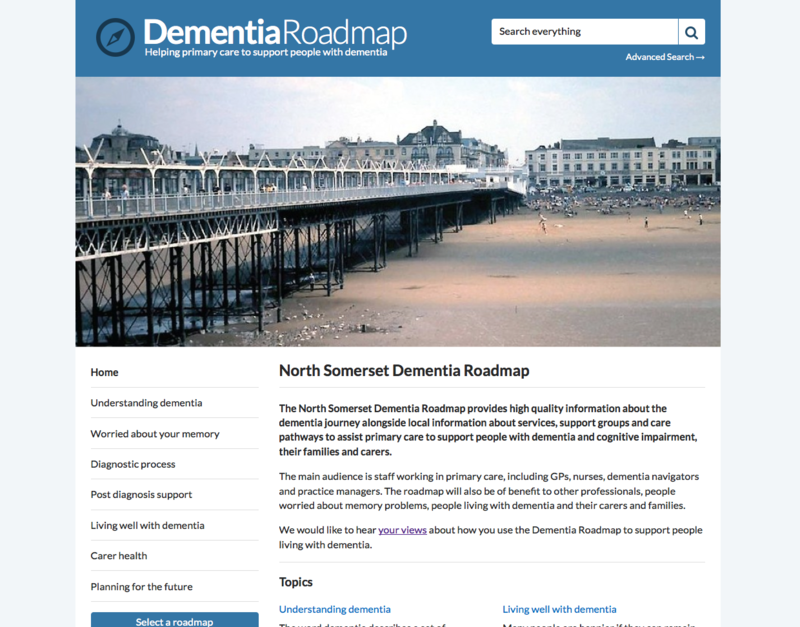 This can help to prevent unnecessary admission to hospital for patients with memory problems in crisis. Keep accurate records, coding patients who present with memory problems appropriately. This improved prevalence will impact positively on the practice QOF. 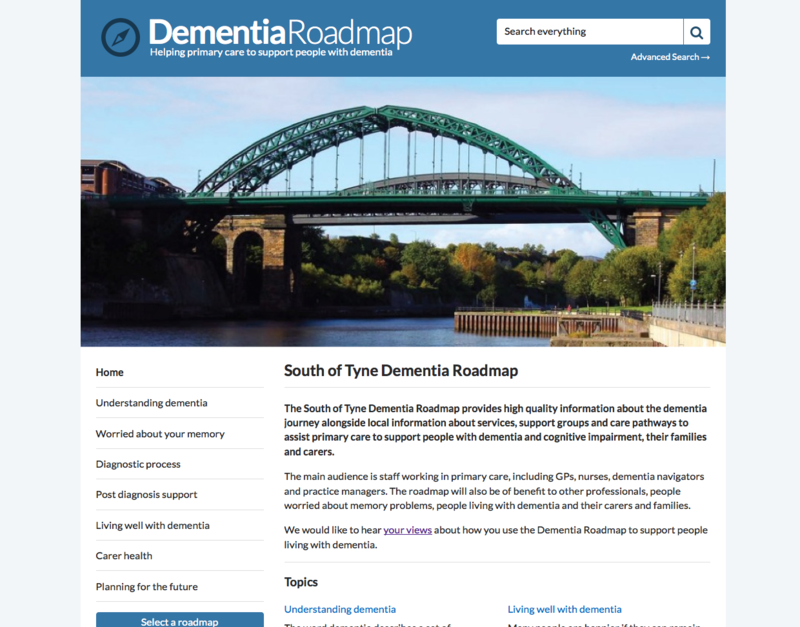 Use case finding approaches with colleagues to identify patients with cognitive decline on the practice register in line with DES guidelines.